It won't be long, Elmsford, before we're needing to use our air conditioners for the first time of the season. In fact, some may already be using it, though generally not for long at this time of year. Our winter months are long, and that means the air conditioner unit will be sitting for several months. Unfortunately, you'd think the opposite would be true, but because of this the system is put under a great deal of stress when it turns on for the first few times. The longer it sits, the more likely it is to break down, especially if the unit is already older or hasn't seen much maintenance over the years. Keeping the unit maintained, inspected, and tuned up will help a lot in keeping it working right. The air conditioner may not seem like an important part that needs taken care of, but in fact it consists of many moving parts that need to stay clean and in good repair. Otherwise, we're faced with breakdowns that are more costly but could have been prevented with a little attention from us. If you're looking for quality air conditioning repairs or a tune up from an HVAC company you can trust, you're looking in the right place here at Nu-Way Air Conditioning & Heating. We do all types of heating and air conditioning repairs, replacements, and installations. We're can handle your permitting and understand the needs of new construction, remodeling, or retrofit in residential or light commercial settings. When you need pros in Elmsford, call our experts at Nu-Way! One of the biggest signs you need your ducts cleaned is when they start blowing dirty air onto your ceiling. There's nothing much worse looking than a beautiful home where the homeowners forget to look up and notice that the vents have been letting out dirty air into the house. But it's certainly understandable because we are so used to our homes and with our busy lives it can be hard to notice these issues. The good news is that it's easy for you to get them cleaned up when you hire a professional who can thoroughly and effectively clean out your ductwork. Not only will they be cleaned, but we can also ensure that there aren't problems going on like mold, algae, or mildew growth. If there are, we have options available to help you solve those problems. 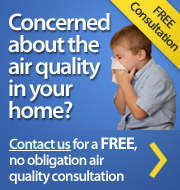 Either way, you'll be breathing better air when you get your ducts cleaned. And your ceilings won't be the landing ground for the more solid particles of the pollutants. Staying in better health, having a cleaner home, and ensuring your system is maintained and functioning properly will go a long way to making your home more comfortable and enjoyable for the family and everyone who visits. If you need quality HVAC Services you can trust in Elmsford or surrounding areas, please call 914.777.5030 or complete our online request form.